ObamaCare’s threat to religious liberty is reaching a crescendo, with 43 Catholic organizations filing suit in federal court to challenge the HHS mandate of sterilization, contraception, and abortion-inducing drugs as a violation of the First Amendment and the Religious Freedom Restoration Act. Archbishop William Lori of Baltimore, chairman of the U.S. Conference of Catholic Bishops’ Ad Hoc Committee for Religious Liberty, explained the seriousness and significance of the threat in a keynote address in Washington, D.C., on May 24. He described the deliberate moves by the Obama administration to ignore the Church’s protests against the mandate that all employers, with only narrow exceptions, must include in their employee health plans access to services they consider morally wrong. “Once the administration began hinting that the ‘preventive services’ mandate would include things that Church institutions could not morally facilitate or fund, the conference staff began filing comments and appearing at hearings, as early as fall 2010,” Bishop Lori said. 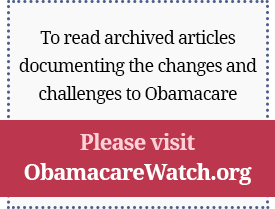 “Once the regulations finally came out in August 2011, we filed more comments. When the decision was announced that those August regulations would not change, we protested again. Next Article: Senator Tom Coburn, M.D. and Jason Fodeman, M.D. : ICD-10 Implementation Date: Better Never Than Later?